RUSH: You want to hear some other scuttlebutt? There are people whispering that they know what the Mueller report's gonna say. Want to hear that? 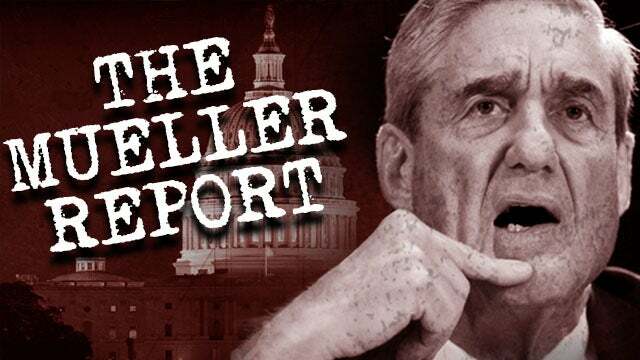 The thrust of the Mueller report will be that Trump was an unwitting dupe of massive Russian collusion. That Russian collusion happened but Trump is so stupid and so naive that he didn't even know it. And by virtue of his ignorance, he ended up making it easier for the Russians to tamper in the election. So for these people it's a twofer. They get to conclude -- and remember this is just rumor. But they get to have their Mueller report that, yeah, the Russians were all over the place and, yeah, the Russians did determine the outcome of the election. But Trump didn't have anything to do with it. Trump was so stupid he didn't even know. And it will be portrayed as an argument for why outsiders should have nothing to do with anything with power in Washington because look at how easy the Russians were able to take control of our election because of the stupidity and the idiocy of this outsider candidate, Donald Trump. That's the smart money, quote, unquote, on what the Mueller report is gonna say. Now, there obviously will be other things in it. But since Trump didn't collude, they can't write a report that says he did. There is no collusion. But they're so far into this idea that the Russians determined the outcome that they're wedded to it. So the way they're gonna do it is, "Yeah, the Russians meddled, and Trump was an unwitting dupe." And all the illegality and all the lawbreaking and all the lack of ethics on the part of the Clintons and the Democrats and Fusion GPS will likely be glossed over, hardly even mentioned. That's the scuttlebutt on the Mueller report. Oh! And the reason it's happening is because the other scuttlebutt is that it's really imminent now because Rosenstein's leaving. And Rosenstein said he would not leave until he was sure the Mueller investigation was secure, meaning Trump couldn't do anything about it, Trump couldn't fire Mueller, Trump wouldn't fire Mueller. Have you seen the latest story that the Trump attorney general nominee, Bill Barr, is best buddies with Mueller and that their wives attend Bible study together? And the Drive-Bys are having stories, writing stories, did Trump know this? Because when Barr was named by Trump, I mean, every legal beagle in the country talked about what a brilliant nomination it was. There's nobody better than William Barr. He had written a memo critical of Mueller early on in the investigation and people said, "He ought not be allowed to be attorney general. He's compromised. He's already made up his mind about Mueller." Well, now that Rosenstein's leaving and said he wouldn't leave 'til either there's a new AG, which we're on the verge of, or 'til the Mueller investigation was secure, so it's being concluded now that the Mueller investigation's about over. And so what it's gonna say is that Trump was a willing dupe, ta-da ta-da ta-da. We'll just have to wait and see, but that is the scuttlebutt on both of these things. And don't misunderstand me here. I'm not telling you I think all of this is gonna succeed. I'm just the coach here. I'm just telling you what the other team is planning.